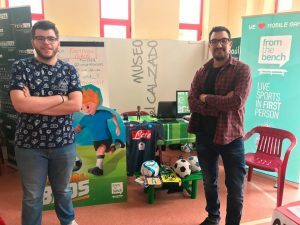 On the 25th and 26th of April, two of our players represented our company at the 2018 Students Fair, a fair directed towards the ESO (Educación Secundario Obligatoria [Compulsory Secondary Education]), high school and vocational training students, informing them about the different work and study opportunities that they have available to them after they finish their academic studies. 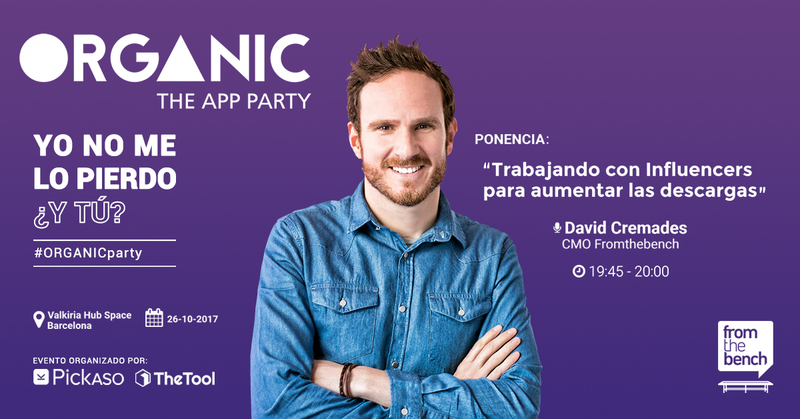 This fair was organized by the City Hall of Elda, in one of the civic centers that they have throughout the city, called “La Ficia”. This year was the first year that From The Bench attended the fair as an exhibitor, since all the other years we participated at round tables and corporate chats. The idea of having our own stand at the fair and being able to show everyone how we work at From The Bench and some of the activities that we organize to be able to win official merchandise in one of our applications was a very appealing idea for us, and of course, for the others as well. We were one of the most highly-trafficked stands throughout the two-day event thanks to ‘one of the biggest attractions at the fair’ according to some users: Football Bros. 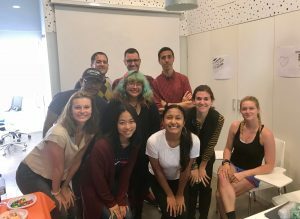 This app was created almost entirely by interns at From The Bench, and it was just one of the apps that we showed so that everyone could get to know our apps. 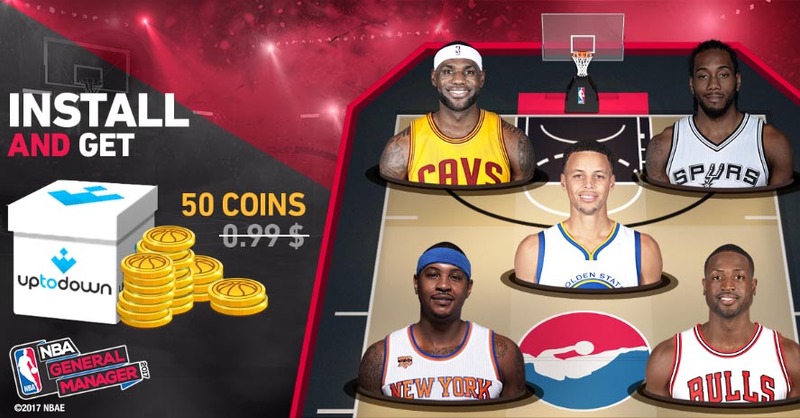 What’s more, we gave them the opportunity to participate in a contest that we created based on this app. The goal was to play and achieve the highest score of all participants, and for doing that, win a bunch of prizes. There were a total of 150 participants and a record score of more than 2,500 points. Incredible! Once the exhibition part of the fair was over, we made our way to a round table session in which From The Bench also participated to inform the attendees about the different internship offers that we offer and which profiles we’re looking for in our company to perform certain tasks. The meeting room was almost completely full since there were a total of 5 companies participating. Not only were their Spanish listeners, but there were also listeners from other European countries thanks to the CIPFP Valle de Elda. 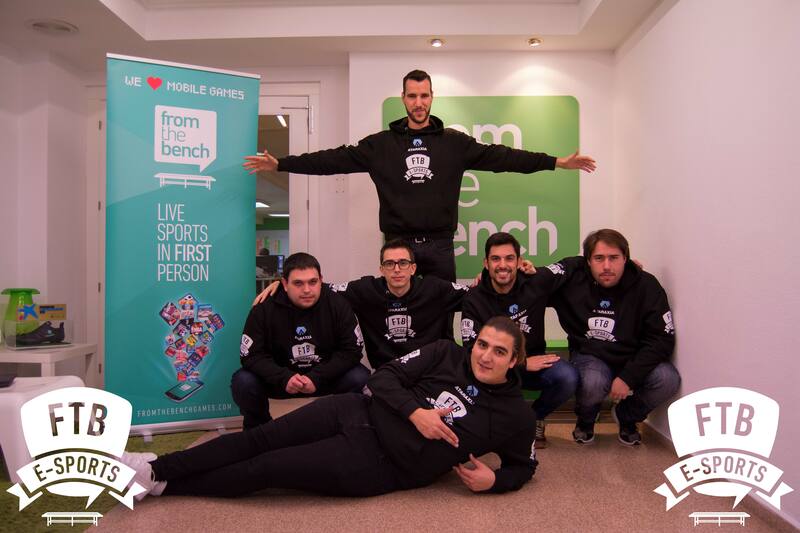 There, I began taking part, sharing with total freedom and uneasiness my experience as an intern at From The Bench and it was, without a doubt, one of the best moments of the entire fair. 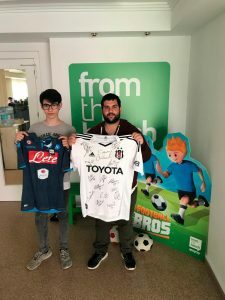 A few days later, all the winners of the tournament came to our office to collect the rewards that they had won in the Football Bros tournament. They were able to see how we work at From The Bench and what our office is like from the inside. 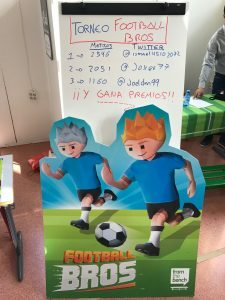 Here you have a picture of the best players in the Football Bros tournament along with their rewards. Our shirts look great on them, don’t they? And what about you? Would you be able to beat their records in the next edition of our Football Bros tournament? 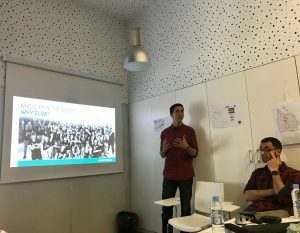 Last Thursday, April 19, 2018, two of our favourite players at From the Bench (Enrique Muñoz and Santiago Navarro) had the opportunity to represent our company at the CIEE Alicante, a company with more than 10 years of experience in student exchange programs throughout Europe, housing thousands of students each year in different cities. 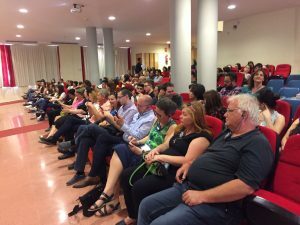 The talk took place at the CIEE headquarters, at the University of Alicante, a building within the University campus with a great number of resources that can make these kinds of talks possible. At the event, there was one of the groups of exchange students that were here in Alicante. Each and every one of them became very involved, asking questions and showing interest in our company and, above all, one of our most important games, NBA General Manager. In addition to informing the students about our apps and the process of developing a video game, our representatives discussed our company values, our concerns and the way in which we working. This was, without a doubt, an experience that we will definitely repeat in the future. We would like to thank the CIEE Alicante for giving us the opportunity to speak at their office, and we look forward to doing it again soon. 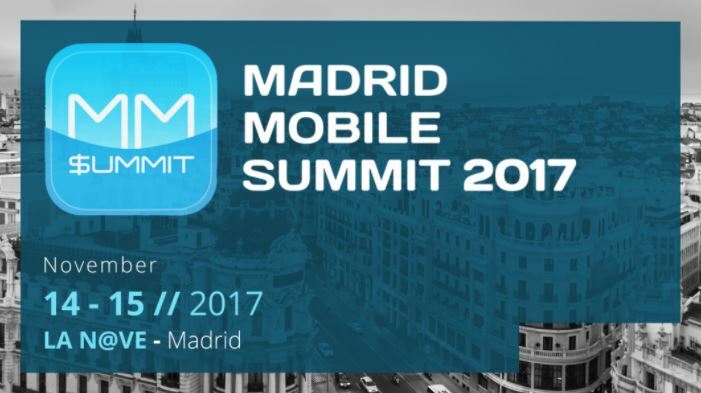 We’re participating in the Madrid Mobile Summit!